Response to preflight request doesn't pass access control check: Credentials flag is 'true', but the 'Access-Control-Allow-Credentials' header is ''. It must be 'true' to allow credentials. Origin 'http://domain.com' is therefore not allowed access. The same code works OK when testing on the test environment (NO Azure). We can see how the headers for cross domain and credentials are included in the response headers. This confirms that outside of Azure, the CORS configuration in the application is correct. 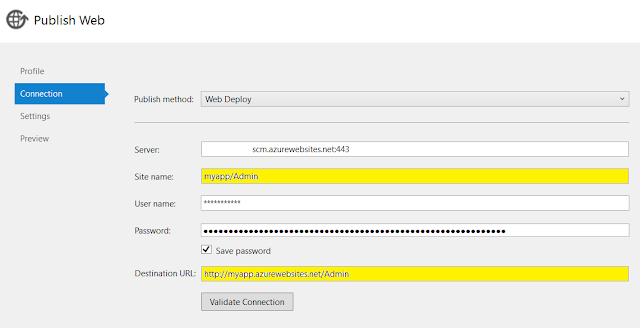 In Azure, we need to configure the CORS settings on the Azure Management UI which overrides any application CORS settings. 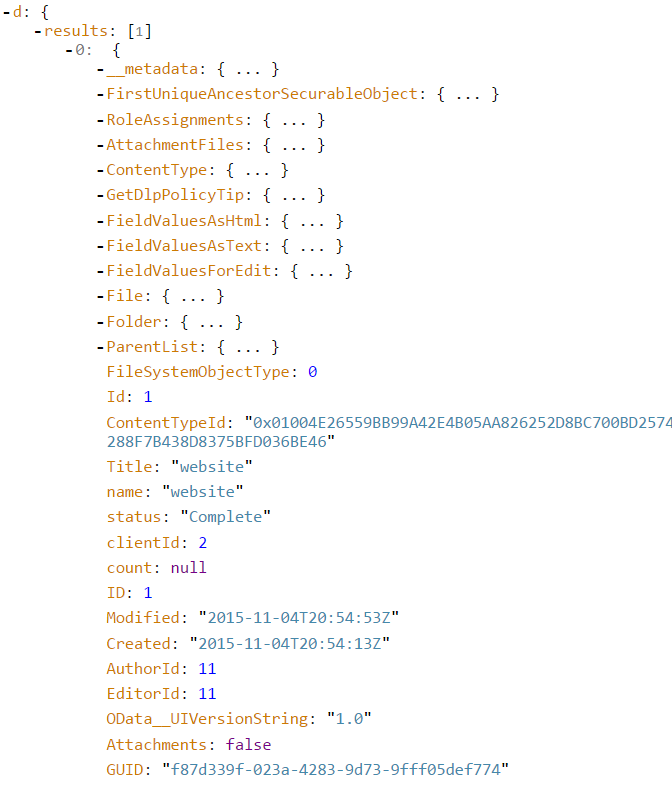 This configuration outside of our web API application causes this problem with the header. Since we are using OAuth bearer token security, we pass the client information as a header, and we do not use any type of cookies for security. This means that we do not need to use the withCredentials AJAX parameter. Standard CORS requests do not send or set any cookies by default. In order to include cookies as part of the request, you need to set the XMLHttpRequest’s .withCredentials property to true. The server must also enable credentials by setting the Access-Control-Allow-Credentials response header to "true"
The resolution is to configure the request in a way that matches the expected response header from the server. In this case, there was no need to exchange security over cookies since this is done using a token. This is the solution for this particular case, but there could be other root cause that manifest in a similar problem. 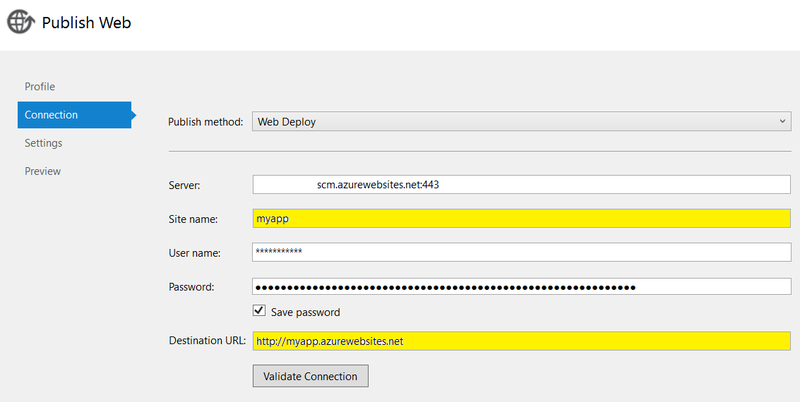 Azure Web Apps are deployed as a new website on the Azure cloud. For those who have control of the server, this is similar to adding a new website on an IIS server. What if we need to deploy another web app on Azure, but we do not want to create a new web site? Well the answer is to create a virtual directory and deploy the web app there. Let’s take a look at how we can do that using the Azure management website. We are now ready to show how to deploy this. Let's go over Visual Studio, open the solution and take a look at the publishing profile for the original app. Notice the Site Name and Destination URL settings. We can now just press the publish button, and we have one Azure web app instance hosting two web apps with one at the wwwroot and the other on the virtual directory off of wwwroot. 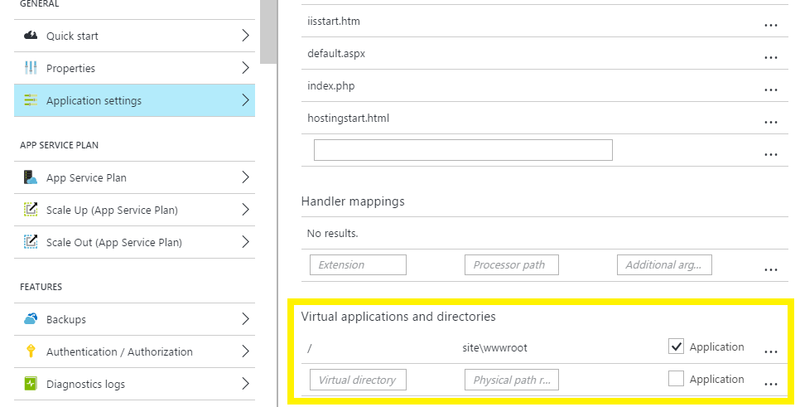 I hope this tip provides some insight for your web app deployment strategies on Azure. Prevent deletes of the reference or parent record when a dependency exists. This field needs to be indexed in order to support a constraint. This field can also be updated from the properties tab. Now that we have our lists definition and constraint, we need to make sure that dependencies are deployed first. During the deployment of the application, the deployment does not fail if a dependency is not defined first. In our example, the project list depends on the client list to be deployed first. If we deploy the project list first, the client relationship constraint will not be applied to the list, and the parent records could be deleted leaving orphan records. In order to prevent this deployment problem, we need to make sure that the features are deployed in the correct order. In our example (see image below), the Application feature (contains the web application artifacts) is defined before our lists. We then define the client and project lists. By defining the client feature lists (with the client list definition and instance) before the project feature, we make sure that our constraint will be deployed properly. This helps us make sure that on the server data integrity is enforced. 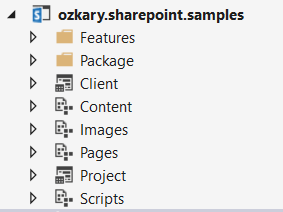 The order of the features can be rearranged by opening the package file under the package folder. This opens an interface that allows us to move features up or down. Now that we have our list definitions, we could move forward with building a SharePoint AngularJS SPA that shows how this constraint is actually working. We will do this in another blog entry. We have a working AngularJS single page application (SPA), but the moment we minimized the JS files, the app breaks with an Unknown Provider error. When facing this problem, we need to look at how we are injecting dependencies into our modules because when minimizing the files, the parameters name will be changed and Angular would not be able to resolve the dependency. We start by looking at a common way of injecting dependencies which can lead into a problem. As we can see, the parameters are renamed to “n” at which point there is probably no dependency with such name, and Angular is not able to find it. This is why we get the ugly Unknown Provider error. Yes, the dependency name is kept, and Angular should be able to resolve it. We can also notice that the parameter “n” is still used in the function, but what is important is the name declared on the array. Moving forward, we should explicitly define our dependencies as minimization of resources is now a must standard. 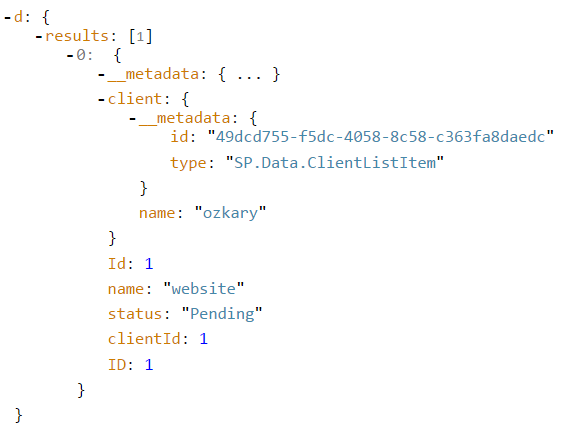 When using SharePoint data lists as the backend for an application, we can leverage the use of REST and OData to fetch the information from a data list. When the list contains lookup fields, a normal GET operation on the list only returns the id from the lookup field which may not be enough for some cases. In the case that more information is needed from the lookup or reference field, we can leverage the OData $expand parameter. This parameter is used to expand the related data so that in addition of the id other information also becomes available. As an example, we can look at a simple Project data list which has a lookup field named Client. This field uses the Client list as reference. Note: my.sharepoint.com should be replaced with a specific domain name. We can notice that there is a ClientId field, but the field that we defined is named Client. SharePoint by default returns the lookup field id using this format: field name + id. In this case, the name is ClientId which as we can guess is the id of the client record. What about also getting the client name? Use this parameter to control what fields should be selected. Use this field to indicate what lookup field should be expanded to get additional information from that field. Field to expand must be in the $select parameter. OData request parameter to indicate what look up field should be expanded to get additional information. When using the $expand query parameter, the $select query parameter must also be used, and the field to be expanded must be explicitly declared as shown on our example above. The result of this request returns the project name and id as well as client name and client id. We should note the format used to get the client name, Client/Name. This format is what indicates that we want the Name field from the Client list. A sample of the response is shown below. 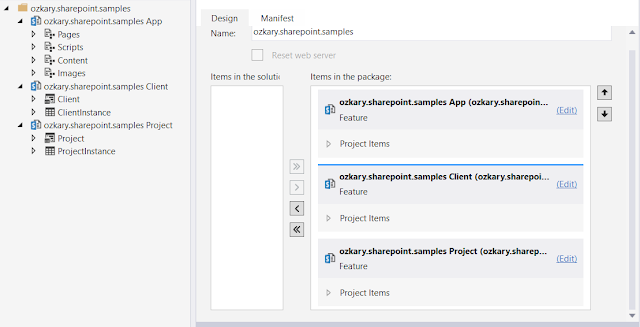 The results array contains each record, for which we can find the selected fields as well as the client property (object) with the name property (client name). As shown above, the USE of OData request parameters are very important when there is a need to get related/lookup data with one request.